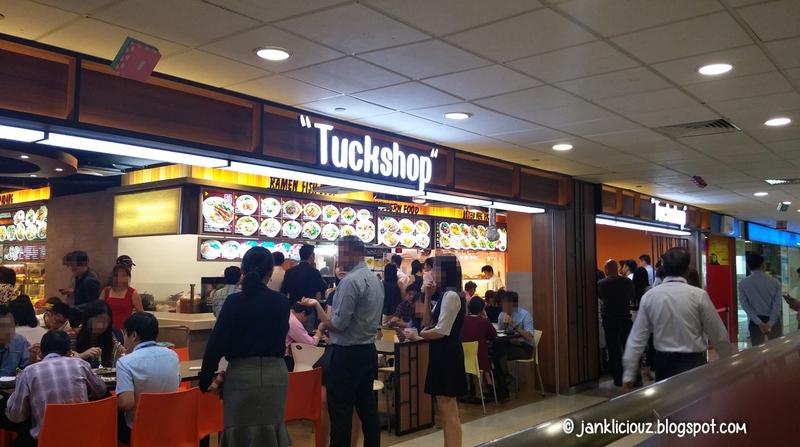 A newly set up western food stall lays inconspicuously in the corner of a popular eating mini food centre at Harbourfront Centre. No prizes, but are you able to spot their shop? 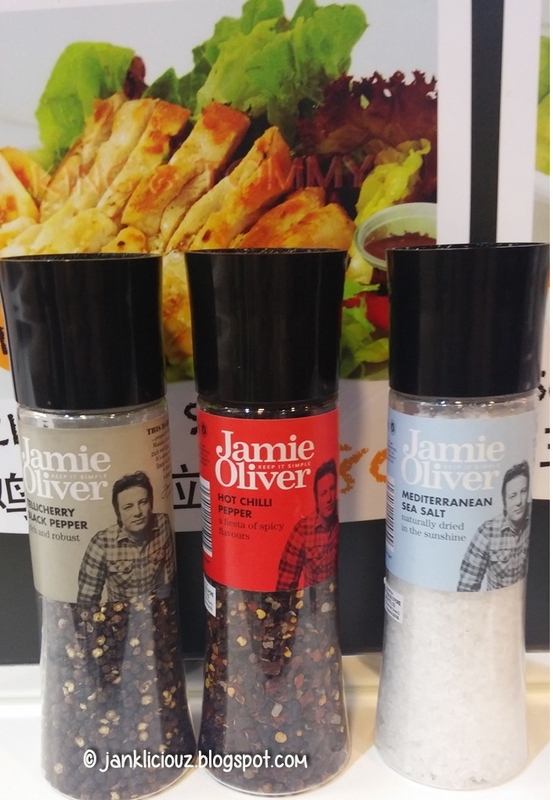 What really caught my eye at first was the unusual display of their condiments for customers: Jamie Oliver branded black pepper, red hot chilli pepper and mediterranean sea salt grinds! Oh my oh my. How very special of a western food food stall to use these condiments. That spiked my interest and I asked one of the staffs why they decided to use these condiments. 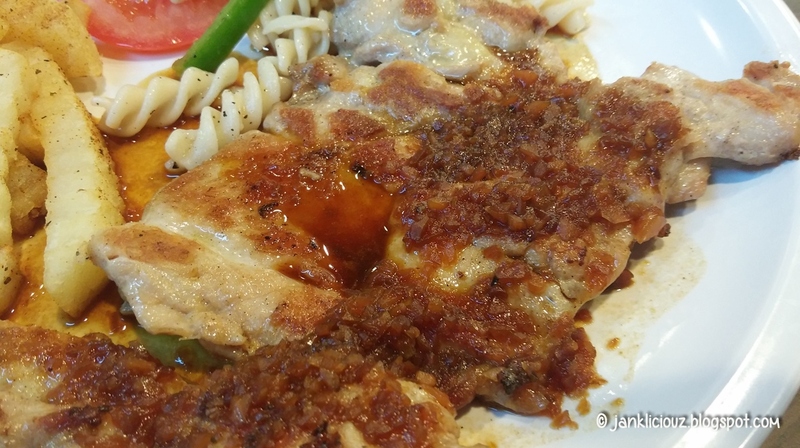 He shared that it is used only for pastas and for some, on their salmon dishes. He stressed, however, that his dishes focus on having the right flavour in the gravy used, I agreed. 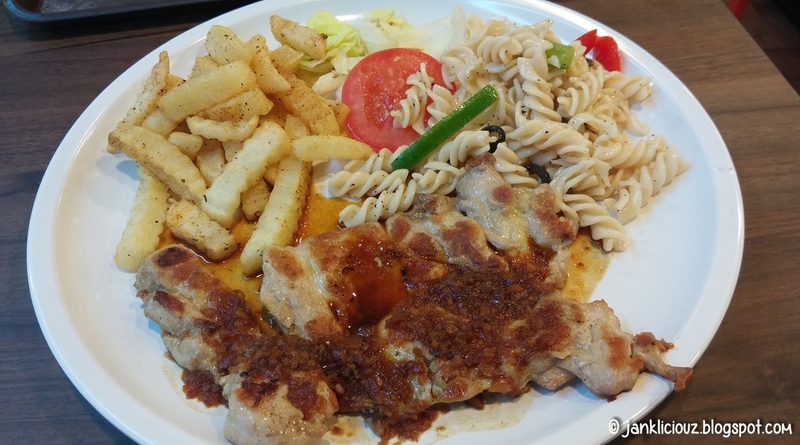 And I love gravy, what more for chicken chop dishes, which are its main highlight, at least for me. 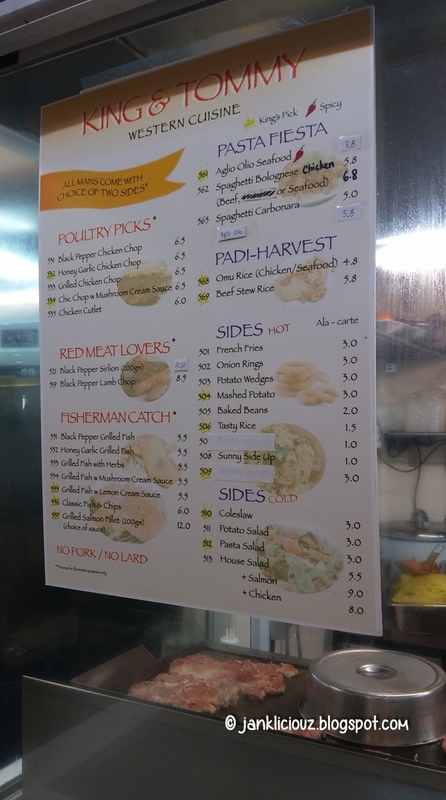 So, I decided to try out one of their signature dishes today, the honey garlic chicken chop ($6.50)! I didn't have to wait too long. The dish was served in less than 4 minutes. Each dish also has 2 complimentary sides, and the portion looked substantial too. I got the french fries and a cold pasta salad. 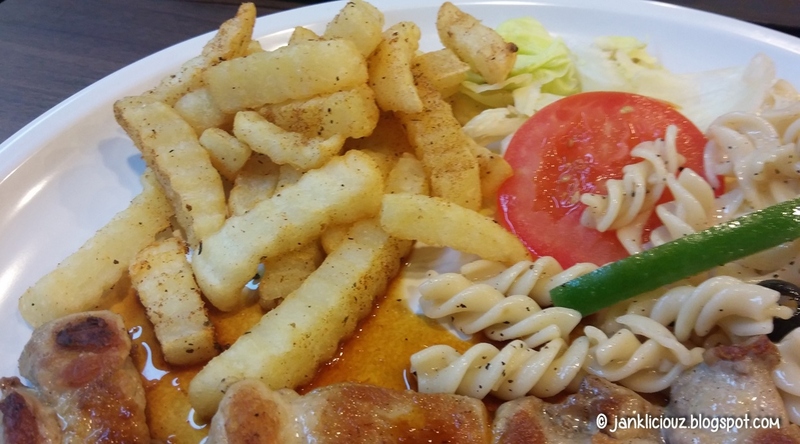 Looking at the dish, it was interesting how they used cajun spices for the flavouring of the fries too. It was a creative touch overall, but I was slightly disappointed when part of the fries already became soggy. I just wished that they had paid more attention to their fries, which would have added more points to their ratings. 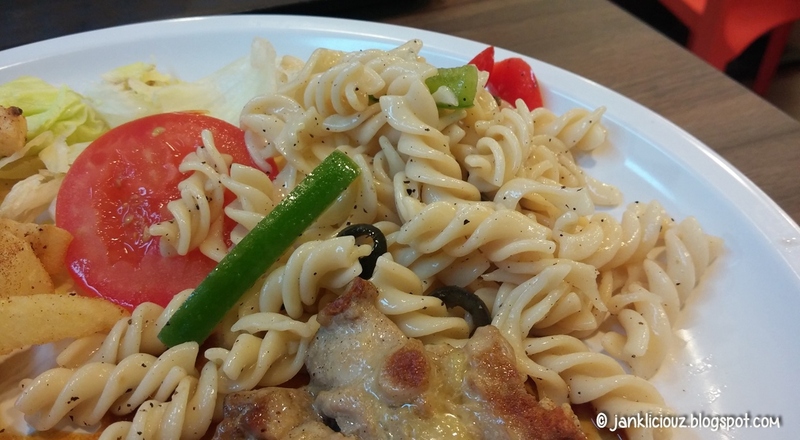 The pasta salad tasted light and delectable, and I did not have any gripe over it. The chicken was tender and there were not much fat on the skin. I liked the honey garlic sauce as it was well done, and a light hint of garlic is apparent, without it overpowering the senses. I do think they have earned their stripes for a well cooked gravy, and the tender meat. 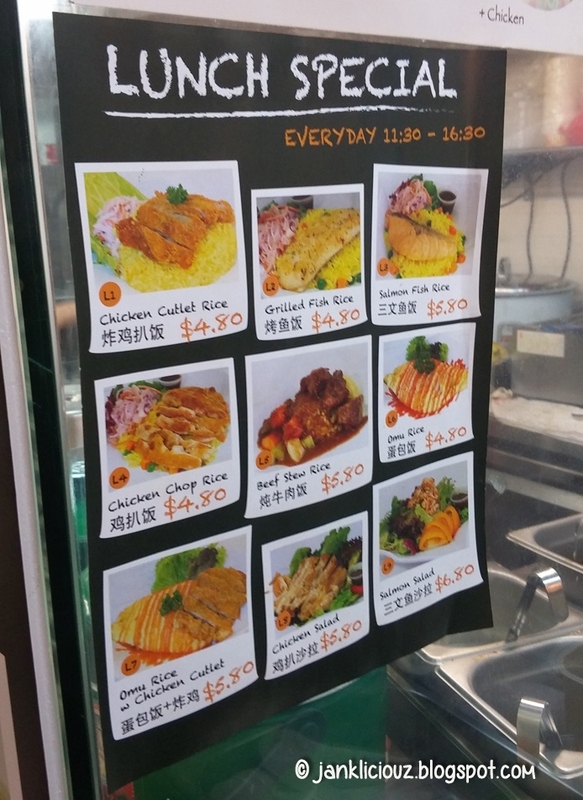 But the side dishes play an important part and I would recommend that they also pay more attention to it, and it'll exceed expectations even more.